Thousands of cosplayers have entered, but only one will reign supreme as the One Piece Cosplay King — and the first round of cuts has been made! 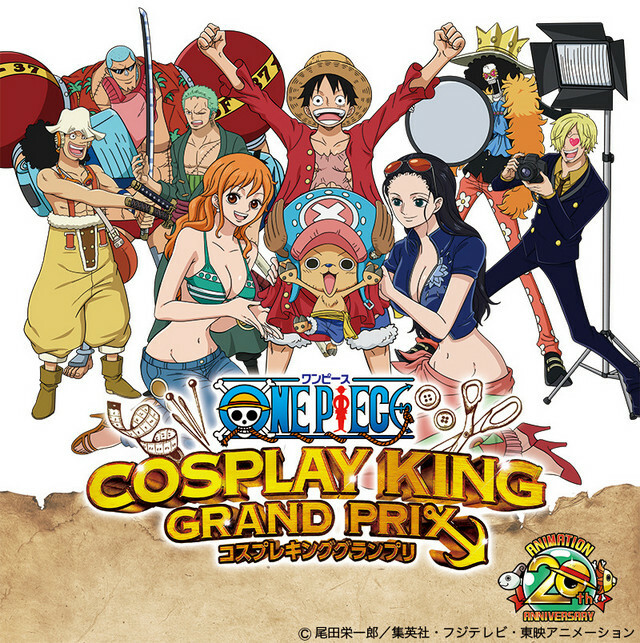 The worldwide cosplay contest is being held in honor of the series’s 20th anniversary, and will hold its final round this summer in Nagoya. 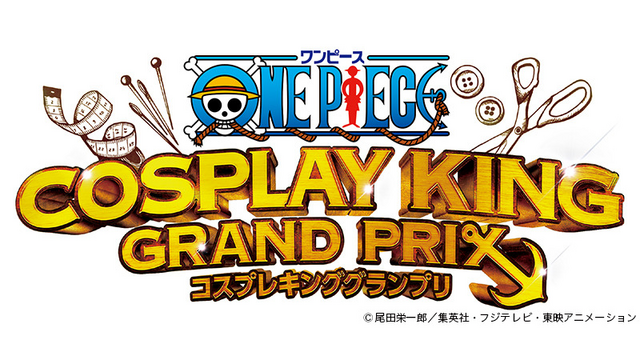 20 finalists will take the stage, with room for nine Straw Hat Pirates and 11 other characters. Prizes for the finalists include 3D printed custom trophies, a photo book including pictures of the finalists, and more. The more than 4,000 initial entrants have been pared down to 150 going into the second round. Semi-finalists were chosen based on a combination of Likes earned on their photo and judging of overall quality (including craftsmanship, makeup, and overall resemblance to the character). The group hails from all around the world, inlcuding seven from North America! Check out all 150 semi-finalists here. The next round of eliminations is due to be announced in early May, bringing us to the 20 finalists. 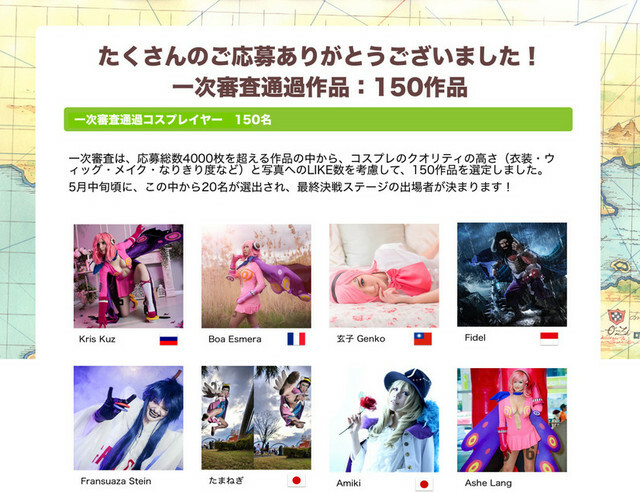 They can look forward to a free flight to Nagoya, where they’ll compete with each other at this year’s World Cosplay Summit on August 3.